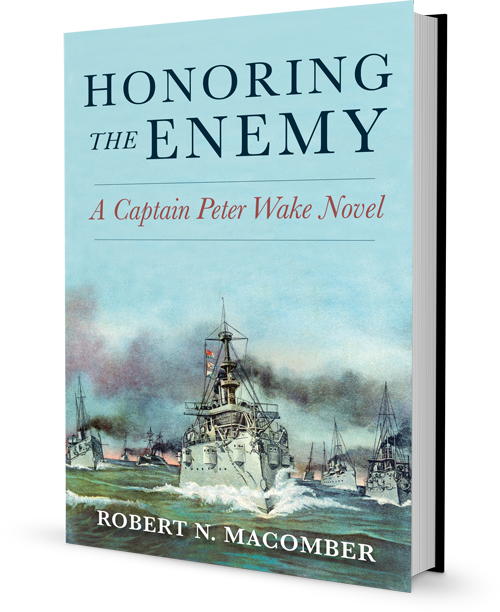 Honoring The Enemy is the fourteenth novel in the award-winning Honor Series of historical naval thrillers. The series follows the life and career of American naval officer Peter Wake, from his joining the navy during the Civil War to his adventures around the world until 1908. This was the time when the United States Navy was at the forefront of America's transformation into a global power. Honoring The Enemy picks up where An Honorable War left off, and is the second of a three part mini-series within the Honor Series about the Spanish-American War in Cuba and Puerto Rico. This novel covers the period of June 1898 to mid-July 1898, centering on Tampa, FL and Oriente, Cuba. It's a story of how American sailors, Marines, and soldiers landed in eastern Cuba in 1898 and, against daunting odds, fought their way to victory. I spent time in Oriente on a 2016 research expedition and met with Cuban historians, which was invaluable to bringing this piece of history to life. From clandestine espionage missions to history-making land and sea battles, Peter Wake and the reader will be right in the middle of the action! Bert's Pine bay Gallery & Gifts is a charming historic cottage, perched at the northwest foot of the Matlacha Bridge, overlooking Matlacha Pass. 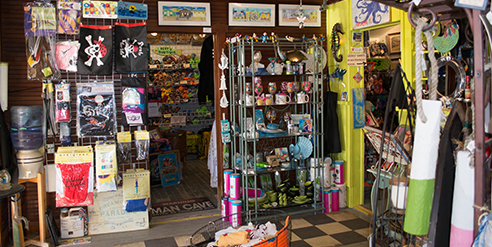 Visitors and locals alike enjoy returning often to peruse our unique home decor, gifts, and clothing, pick up a pair of Crocs footwear, browse through the shelves of local and best-seller books, or stock up on fabulous Bert's shirts, hats and coozies. Our favorite local artists are proudly represented at Pine Bay. We think you will Love what they do!